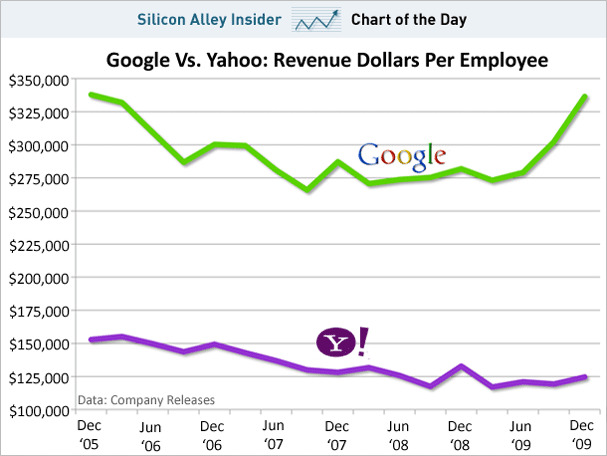 Despite making serious reductions in headcount last year, Yahoo’s revenue per employee is still well below Google’s. It sure is nice to have that Google search advertising cash machine at its disposal, even as the company entertains dozens of new projects. big tech chart of the day google sai-us search yahoo!